We are highly equipped in the process of importing and supplying of a wide range of SCR (Silicon Controlled Rectifier) Mosfet. 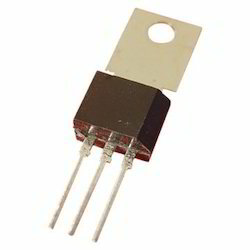 These SCR mosfet are integrated circuits which are renowned for their low power consumption and high efficiency. We make sure that they are in accordance with the international quality standards. We are an eminent organization that is engaged in supplying, wholesaling, importing, trading and distributing Silicon Controlled Rectifier. To fulfill the requirements of customers, we provide these rectifiers in several models and specifications at reasonable prices. Moreover, we have always maintained a bulk stock of our products in warehouse for meeting the urgent requirements of clients.